Devprayag is the sacred confluence of Alaknanda and Bhagirathi River and the origin of sacred Ganges. The GMVN Tourist Bungalow at Devprayag is located on Tehsil Road. This Tourist Rest House was opened to guests in 1919. It is situated 2 km away from Devprayag bus stand. 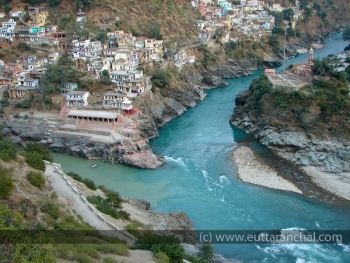 Devprayag is situated at an elevation of 618mts above sea level in Pauri Garhwal district of Uttarakhand state. It is situated 78kms ahead of Rishikesh Railway station. The accommodation in TRH Devprayag is provided in Economy rooms and common bath. 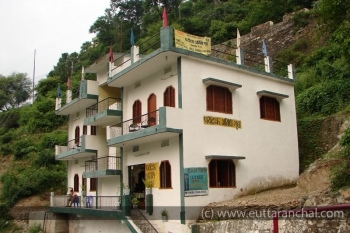 There are total 14 rooms in Devprayag Tourist Rest House. The restaurant in GMVN TRH Devprayag serves delicious cuisines prepared by well experienced chefs. The hotel is 114 km from the ISBT Bus Station Dehradun, 112 km from the Dehradun Railway Station and 86 km from the Jolly Grant Airport.